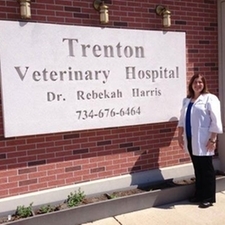 Dr. Harris became the proud owner of Trenton Veterinary Hospital in August of 2011 after practicing in Oakland County for 6 years. Dr. Harris knew at a very young age that she wanted to be a veterinarian. She comes from a family who has a love for animals and grew up with dogs, cats, horses, guinea pigs, rabbits and birds. Dr. Harris's interest include cardiology, internal medicine, pain management and preventative care. The bond that is formed between Dr. Harris's clients, patients and herself is a very important one. She truly feels there is no more rewarding job then being a veterinarian. Dr. Harris is married to her husband Josh and together they have four beautiful children, Rylee, Logan,Jaxson and Irelyn. Dr. Harris enjoys spending as much time as she can with her family, traveling, camping, antiquing, cooking and exercising. Dr. Harris graduated from Michigan State University College of Veterinary Medicine in 2005 after receiving her Bachelors of Science Degree. Dr. Kevin Corr is a 1993 graduate of the University of Missouri-Columbia College of Veterinary Medicine. He initially was engaged in mixed animal practice treating many species but has focused on small animal medicine over the last 15 years. He has developed a keen interest in canine and feline soft tissue surgery. Dr. Corr has served in various leadership positions over the years including President of the Hudson Valley Veterinary Medical Society and Trustee for the Village of Goshen in New York. When not working Dr. Corr enjoys many outdoor activities including beekeeping, growing trees and vegetable gardening. Dr. Corr graduated from the University of Missouri-Columbia College of Veterinary Medicine in 1993. Many of the staff members at Trenton Veterinary Hospital have been here for 10+ years. They are dedicated to your pet's care and well being. 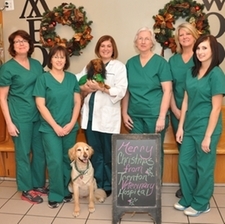 All of the team members at Trenton Veterinary Hospital are here to make your and your pet's visit the best it can be!